Whether you celebrate the Winter Solstice on the 21st, or Christmas on the 25th, maintaining compliance to a holistic nutrition regime during the holidays is almost impossible with so much temptation at every turn. 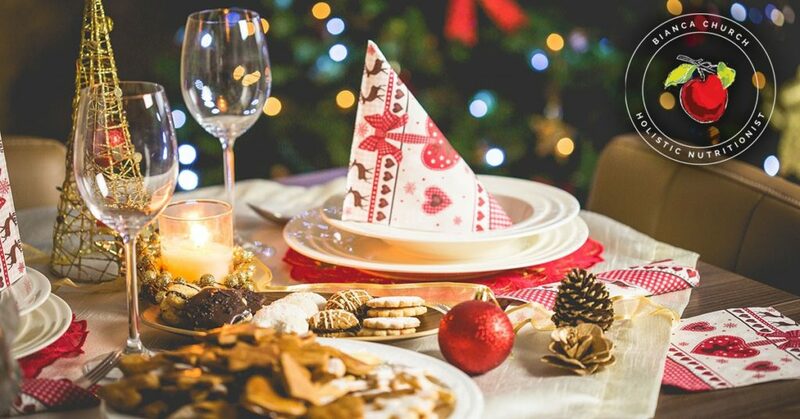 Supporting clients through the holiday season can be very challenging for the Nutritionist because resisting delicious food can be very challenging for the client. The grocery stores and shops are filled with sugary delights like shortbread cookies, chocolate yule logs, eggnog, and the traditional festive dishes like stuffed wild game birds, roasted potatoes and gravy, stuffing and more delicacies than can possibly be listed here. In this article, I want to remind my colleagues that clients need to be treated with compassion and understanding during the holidays. In fact, please remember my rule #3 on how to be a holistic nutritionist: “Educate” and then let go. We are all human and we are here for a human experience. That experience includes eating food and, except for the few who have a strict diet that their life depends on, or who have an incredibly strong will with unwavering support from their family and friends, it’s a wonder how anyone can resist eating the delights of the season. Therefore, it is important to be the rock in your client’s life that provides nutritional guidance but that provides unconditional acceptance and understanding that is often in short supply. Consider this typical scenario: You have a client you have been working with for 2 months, they are finally ready for their first cleanse but it’s December and the holidays are quickly approaching. They are really concerned that they won’t be able to stick to your plan. What do you do? In my humble opinion, maybe this plan did not have the long term view that was needed at the time of its development. A wellness program should be fully planned out in advance as a progressive set of steps. All potential disturbances to that plan should be taken into consideration before putting it to paper. Remember to set clients up for success rather than setting them up to fail. 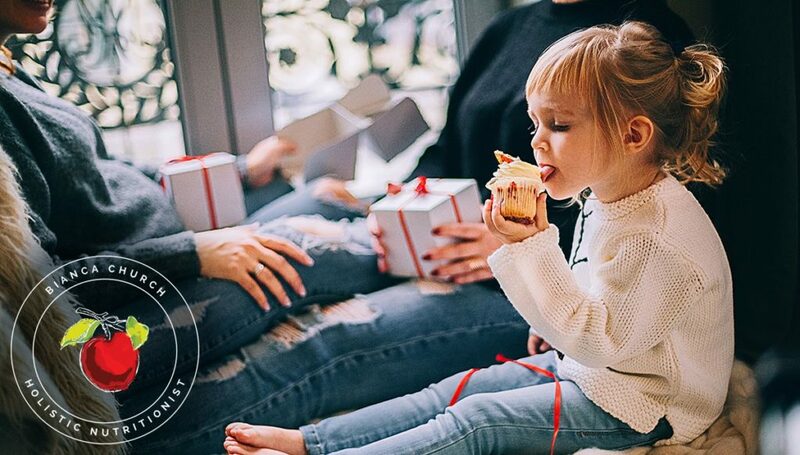 In this case, positioning a cleanse or a strict dietary plan during the holidays does more than stress the client, it denies them the love and connection between family and friends that food brings at this time of year. A connection that is far more healing than any cleanse could possibly be. Eating is one of the greatest pleasures of life and it is even more nourishing to the body when done in the company of those you love. But all too often we eat alone or with guilt. The holiday season provides an opportunity for us and our clients to eat in the company of family and friends. Unfortunately, the festive season often breeds guilt because it is a time of abundance and celebration which encourages people to eat foods they might not usually eat. However, this is the point of a celebration, to eat foods that one would not normally have. The good news is that when it comes to health, it is not what you eat once in a while that counts but what you eat every day. This means that the holiday season is a “once a year,” not an everyday event. The eating of festive foods should be cherished and should not leave anyone feeling penalized or filled with self loathing. The body is amazing at healing itself, but it won’t heal if the mind won’t let it. Therefore, guilt must never be part of any meal no matter what the food. Remind your clients to eat sensibly but whatever they have chosen to eat must be eaten guilt free, with joy and pleasure. Consider that many of the negative effects of certain foods can be counteracted by the endorphins released when eating those same foods in the company of family and friends, while laughing and exchanging ideas. As long as a festive meal is not followed by the negative emotions of guilt, we can reap the rewards of a satisfying holiday meal. Remember that eating is one of the greatest pleasures we can have on this earth. A pleasure that should never be smothered with guilt, shame, or rules that are impossible to keep. We should all eat to nourish our bodies both physically and emotionally. Good food combined with a feeling of sheer bliss should never be underestimated. Never feel badly about what you have eaten because the consumption of a food that brings you a deep sense of pleasure and satisfaction can counter some its inherent negative physiological effects. Whereas, eating perfectly healthy food with anger, shame, or guilt can initiate the stress response, and with it, damaging effects to our bodies. This is the mind-body connection. Being there for your clients after the holiday season is more important than pushing compliance. Besides, cleansing can always be positioned after the pleasures of the season. Although the cold temperatures of January through March make it difficult to stay warm during a cleanse, the cold is easily countered with hot cleansing teas. Alternatively, a cleanse can be done in the spring, which is a natural time of rebirth. Much of what we experience in our bodies as health and/or illness is more the result of what we think and feel than we realize. Consequently, it is so important to envision every morsel of food nourishing your body and soul with love and satisfaction as you swallow each delicious mouthful. So, this holiday season, please, “Eat, Drink and be Merry”! Love the food you eat and leave the guilt behind.